‘Tis the season for holiday gift-giving and what better way to spread holiday cheer and express your gratitude to party hosts, teachers, family and friends than an edible gift? If your time is short but your nice list is long, this three ingredient peppermint bark is the answer to your Christmas wishes. This bark is great with regular chocolate chips but splurge a little on a higher-quality chocolate, like Guittard or Scharfenberger, and it’s off the charts. You can crush the peppermint candies or candy canes in a food processor or by placing them in a resealable plastic bag and smashing them with a rolling pin. 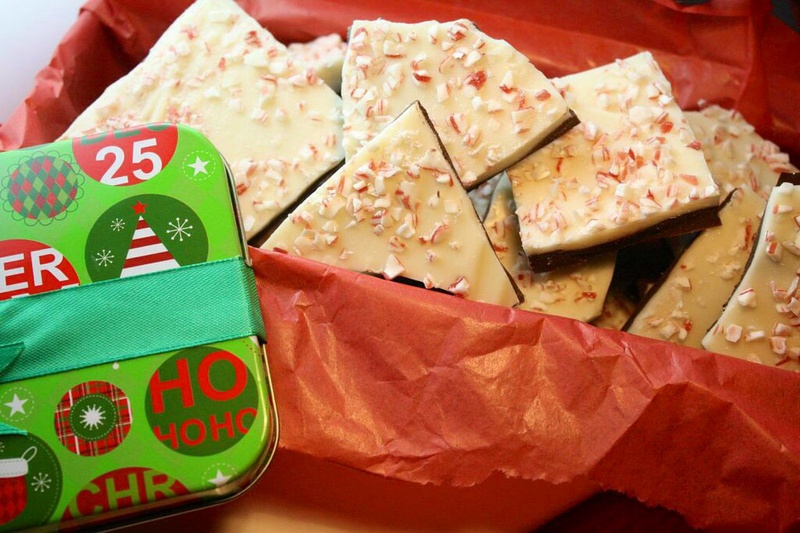 For gifting, stack the bark in holiday tins or sturdy treat boxes lined with parchment paper. Melt chocolate chips, according to package directions, until completely smooth. Pour melted chocolate onto prepared baking sheet and use a spatula to spread the chocolate out, about 1/8-inch thick. Place in the fridge or freezer until set, about 20 minutes. While semisweet chocolate chills, melt white chocolate according to package directions. Remove baking sheet from freezer and top it with melted white chocolate. Use a spatula to spread white chocolate evenly over semisweet chocolate. Immediately sprinkle crushed candy over white chocolate. Return baking sheet to freezer until firm, about 20 minutes. Cut or break bark into pieces and serve.